Purchase Factory Direct and Save! On Sale Now. Fast Shipping. 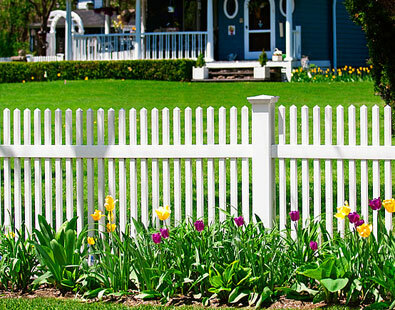 An American classic as traditional as Apple Pie, a White Picket Fence is a time tested enhancement to your landscape. 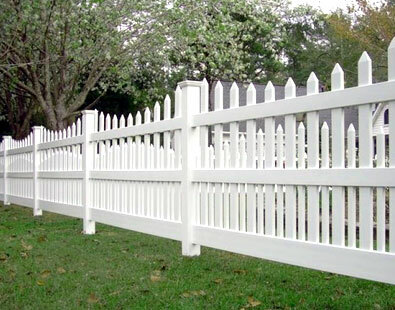 Tom Sawyer would be out of a job, as you never have to paint our heavy duty vinyl picket fence panels! And it doesn’t stop there; our vinyl picket fence panels include a transferable lifetime warranty, adding even more value to your property. Perfect for your front yard, back yard, or commercial fence project, our vinyl picket fence requires no maintenance and will last a lifetime. Available in white, tan, clay, or a combination of colors. 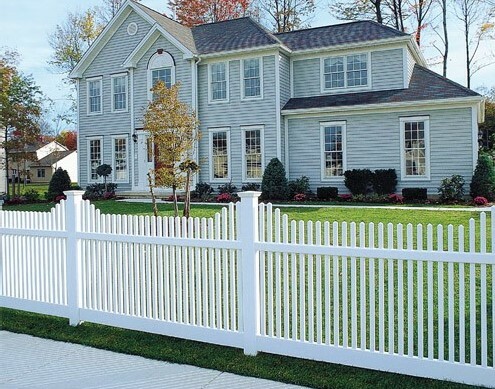 Easy to assemble and install, our heavy duty vinyl picket fence requires no brackets, wood or screws. The horizontal rails are notched to lock into our pre-routed posts and includes an aluminum U shaped channel for commercial strength. We take pride in providing five star customer service, with complete installation support available 24 hours a day, 7 days a week. Simply click on the photos of our vinyl picket fence panels below for details and pricing, or contact us for a free quote today! Transferable Lifetime Warranty. Made in USA. Click on picture below for pricing and details. One fencing option that often gets overlooked is vinyl. Vinyl fencing is made from plastic, and has lot of benefits over other fencing options that you may not realize. 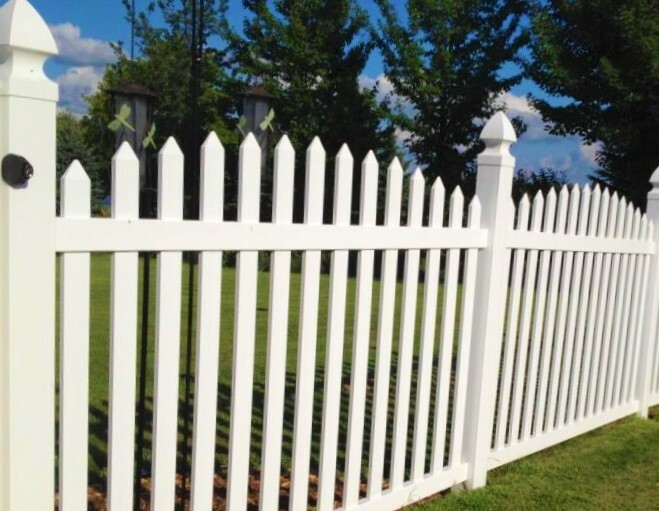 When you’re deciding on what type of picket fencing you want installed in your yard, it is important to take every option into consideration. 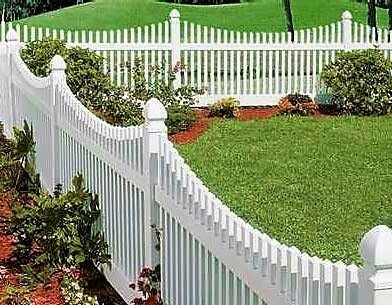 Vinyl Picket fence is a great choice. 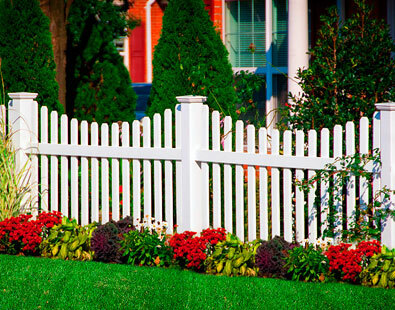 A huge benefit is you never have to sand, paint or stain a vinyl picket fence. Vinyl is more flexible than wood and metal counterparts, and that ability to go with the flow makes it stand up better under pressure from the elements. Instead of being pulled out of the ground by harsh winds and weather, vinyl picket fence can sway and bend so that it is left standing when things calm down. Vinyl is a perfect option for those of us on a budget, which means everyone. Wood and metal options are simply more expensive. Vinyl can also come in any number of colors and styles, so finding the right product for you is easy without a lot of extra costs. Because it is so durable, you will not have to worry about replacing or repairing it as it is guaranteed to last a lifetime. 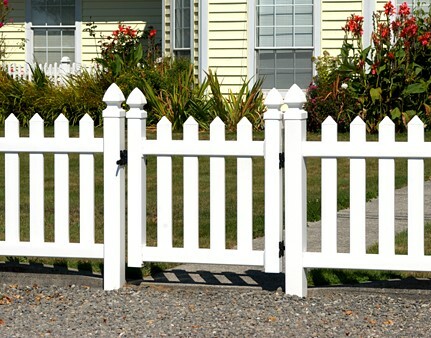 Vinyl Picket Fence is a very basic to install and light to work with, making installation a much simpler process that other types that are heavier and more unwieldy. As it is easy to assemble, no screws, nails or paint, so there is less of a chance you need to hire someone else to do it for you. What could be better than having your fence up not only faster, but at less of a cost as well? 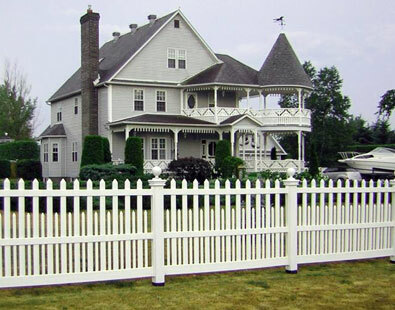 A vinyl picket fence has all this to offer, in addition to the benefit of being able to choose from different color options for style and color. Whats not to love? If you would like to learn more about our vinyl picket fencing panels, or our installation support, contact us online 24/7 or call us anytime! 507-206-4154. Purchase Factory Direct and Save!